This most unlikely heroine is a marvel of any age. 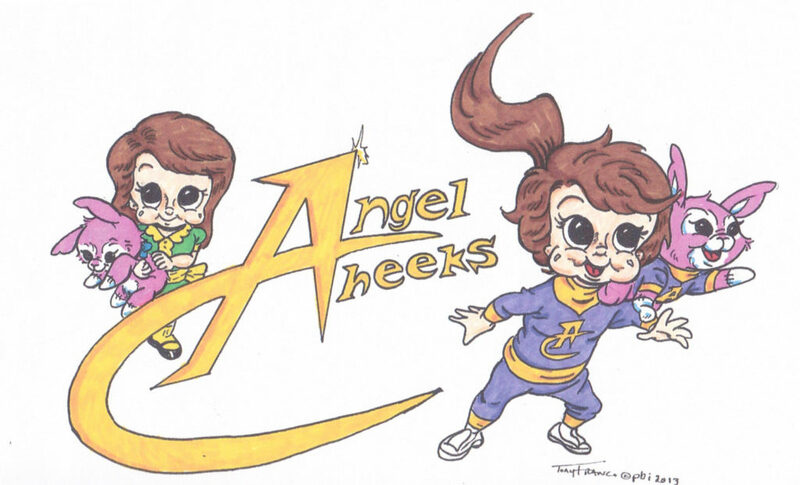 Born of a genetic process developed by her scientist father, Angelcheeks is a child blessed with the intelligence and skill to master any mental of physical feat. An unusual side effect of the experiment, however, has left the child perennially at the age of four years old, thus tempering her phenomenal talents with the innocence and goodness of youth, qualities enhanced by the experiment. With her parents’ premature (and suspicious) death, Angelcheeks vowed to devote her life to furthering the ideals of her fathers’ good works and set up her own organization dedicated to using her talented to help those in need.